It’s been an incredible journey since the introduction of Hawken on Steam, back in 2014. The game’s success has been largely due to your continuous support. 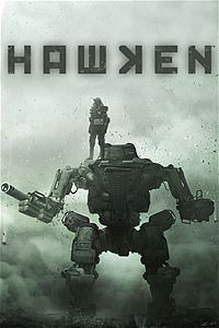 The Hawken community has been the cornerstone of this ever-evolving franchise. It’s been an incredibly rewarding experience working alongside such a dedicated PC player base. Your feedback and support has been invaluable to us, and the team looks forward to creating more great games based on what we’ve learned from you. The reason for shutting down the game is likely due to the continued low player count. According to chart data from SteamDB there have been just over 100 daily players in the game since the beginning of 2017. Going by those same charts, active daily players had been on the decline as far back as Spring 2015. Fewer players means fewer in-game transactions and the profits likely couldn’t cover the costs to maintain the game and support staff. “Over 30 Mechs at launch, and more to come! — Determine your method of mass destruction. Pilot lightweight assassin-like mechs or wade into the thick of action with heavy bruiser mechs. Every mech is unique and can be tailored to fill a variety of distinctive roles on the battlefield. Exceptional customization — Arm your mech with massive sniper rifles, powerful cannons, explosive rocket launchers, and much, much more. Select from among a wide array of upgrades, enhancements, consumables, and cosmetics. 6 game modes — Play cooperatively or competitively in Deathmatch, Team Deathmatch, Missile Assault, Siege, Coop Bot Destruction, and Coop vs AI Team Deathmatch modes. 9 stunning environments — Experience a planet in the depths of war. Battle across decaying cityscapes, post-apocalyptic wastelands, and more.